There are many good hotel options in Copenhagen city centre in many different price categories. For your convenience, we have made block reservations for a limited number of rooms with a special discount at the following hotels which are all in close proximity of Tivoli Congress Center. Please note that you will need to book your room through the conference registration to get the special Nordic First Aid prices. Prices from 635 DKK (≈ 86 EUR) incl. breakfast and VAT. Wakeup Copenhagen is centrally located in Copenhagen right next to Tivoli Hotel & Congress Center and within walking distance of Tivoli Gardens, City Hall Square, Strøget, the harbor pool at Islands Brygge and Copenhagen Central Station. 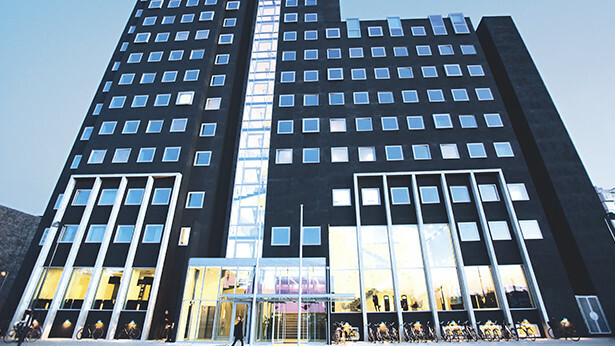 The hotel was built by the famous Danish architect Kim Utzon, and is designed in a beautiful minimalistic style of high quality, which makes it compare well with many of the 3- and 4-star hotels in Copenhagen while coming in pricewise at the 2-star bracket. The hotel has 510 en-suite rooms, with free internet connection standard in each one, plus all the usual mod-cons required these days for a pleasant stay. 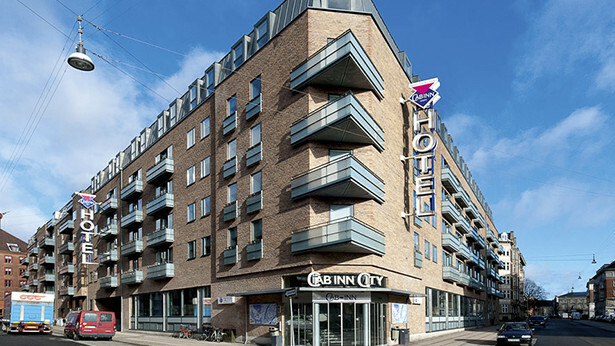 CABINN City Hotel offers more than low prices, it also offers a central location in the heart of Copenhagen. Just one step outside the hotel’s door and you are in the middle of the city centre and a walk of a few hundred meters brings you to Copenhagen Central Station. All standard rooms include a private bathroom with shower, desk, TV, Wi-Fi access, complimentary tea and coffee, and have an extra bunk and a pull-out bed. Prices from 1195 DKK (≈ 160 EUR) incl. breakfast and VAT. Tivoli Hotel is designed by architect Kim Utzon and came to life through a close cooperation between Arp-Hansen Hotel Group and Tivoli Gardens. The minimalistic yet inviting Scandinavian architecture and design makes the hotel and congress center completely unique and without parallel to other venues. The hotel offers 679 guest rooms and luxurious facilities for both families and business travelers, including; Concierge service, Express check out service, a large indoor swimming pool & sauna, a well-equipped fitness center and a business center. 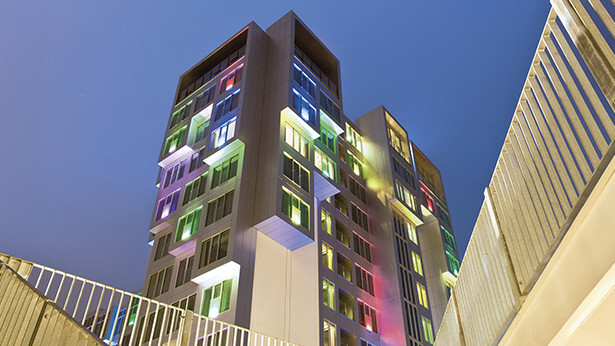 At Tivoli Hotel, guests have a unique possibility to dine at some of Copenhagen’s most popular restaurants without leaving the hotel including Sticks’n’Sushi Skybar, MASH Penthouse and Tivoli View on the 11th floor.